Spring is a great time to sell your home. This is when the market really starts to heat up and open houses are frequent on Sunday afternoons. 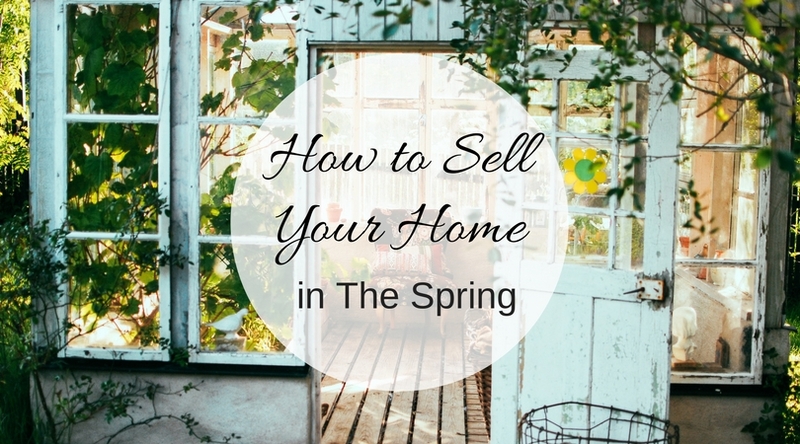 Spring historically is known for yielding the highest prices for sellers, but you must go through the right steps in order to accomplish this. The competition will also be strong, so check out these tips to be prepared! We aren't just saying this because we are a real estate office. This is an important part in pricing your home correctly. If it is too low, obviously you won't get the most amount for it, however if it is too high it will stay on the market longer which in the long run will most likely mean it will decrease in price. Look for a realtor that can sell your home fast - check in to their history, the marketing they do, and most importantly, that you get along with them. Are you going to buy a new home once your home sells? Can you move in with family? Will you choose to rent? Know what your plan is before you put your house on the market. Talking with a local lender can be a great starting point and is something you should definitely do before you sell. This is where a realtor can come in really handy. Not all markets are the same. Ask your realtor about MONTROSE'S market and when the best time to sell is, whether it is early March or late April. It really could make a huge difference. It is best to be proactive and start cleaning as soon as you are considering selling your home. Bad odors and stains is a huge turn off for potential buyers, even if it is an easy fix. Wash your windows, dust baseboard trims, clean appliances, clean your showers, and clean the inside of the cabinets. You will be thankful once you are in the middle of it all that you put in the work ahead of time.